Axure RP has been an essential wireframe software tool for all my UX designs and rapid prototypes. Axure PR Pro will generate interactive HTML wireframes and functional specifications. If you know the program back to front, have access to libraries, are organized with years of experience in designing and coding and have a passion for solid UX and IA, then you can fast track a project to a solid foundation and ready for build. For the past 2 years I have been working on confidential projects that I am unable to share on the public domain. Please email me if you have any questions about my work or Axure RP. Doing some exciting work on desktop and mobile. 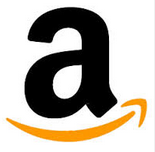 I'm focused on the seller experience and the opportunities surrounding Amazon.com's fulfillment service. This is a solid company to work for, and a great chance to get deep into big data and great user feedback. The internal design team here is huge and highly skilled, and inspirational to work with. This large printing firm required a total rebuild of their current service. With SAP and IBM WebSphere Commerce integration, this complex online design service required precise and detailed wireframes with business requirement documentation. From initial upload and design creation through to advanced payment and shipping configuration, this customer service orientated site was a mammoth and rewarding task. Connecting Autodesk's range of 3D software to tutorials and related courses around the world. An ideal starting point for 3D animation students and an opportunity to gain exposure to a younger audience for 3D World Magazine. Great fun working with Autodesk's image library and assets. The wireframe navigation was updated prior to launch. This site redesign started from the ground up to ensure the technical foundations would cater for the 6000+ visitors per day viewing an average of 7.5 pages each. I was the sole UX/IA for this project, and was heavily involved in the art direction and prototyping. I was also in constant communication with the development team ensuring the FE was spot on. An interaction example was needed to show the preview of an image template. The user can then click to load further action buttons. The example allows you to hover over a single template square within the Axure file, and see the resulting action. A useful transition example to help communicate to designers and developers how the action will work. While I did not retain the wireframes for this project, it shows an example of my Flash Animation skills. All graphics, animations and scripting was done by me. The project was a chance to not only educate the public on the dangers of the house dust mite, but a chance for me to let the inner silliness out through animation and graphics. This self diagnostic tool allows the HR department to provide all employees and managers with access to self development resources, while promoting a 1-2-1 dialogue with their direct report. The system does not replace the human factor, as in addition to all the online support documentation, the end result is an offline document that the participant uses to discuss with their manager. T3's FutureTech site discusses future products and concepts, inviting users to submit their ideas and to connect these ideas to tech companies. With ongoing updates it's an ideal sales tool to promote marketing campaigns and promotions. Use of Sky, Banner and MPU's were needed within the interface. A reviews, features and community driven project for amateur photography. Based on a strict commercial driver, the site caters for advertising takeovers while delivering a clear interface. Multiple reviews, photography samples, techniques and forum integration was needed to complete the experience. This commercially lead art and craft site allows users to buy craft products based on the individual craft tutorials. The concept is to invite small local businesses to connect to customers within their region, and to allow users to submit projects collaborating in a community lead venture. The wireframe example shows how the users will navigate from the home page to the projects within by filtering the content. This event site connects brands to manufacturers at an annual event. Due to the secretive nature of the products on display, this secure site invites the brands to request admission to the suppliers presentation, to ensure that the B2B is conducted with bonafide and approved brands. If you have any questions, want to know more about me or would like to discuss Axure and it's use in your project, feel free to contact me below, I look forward to hearing from you.